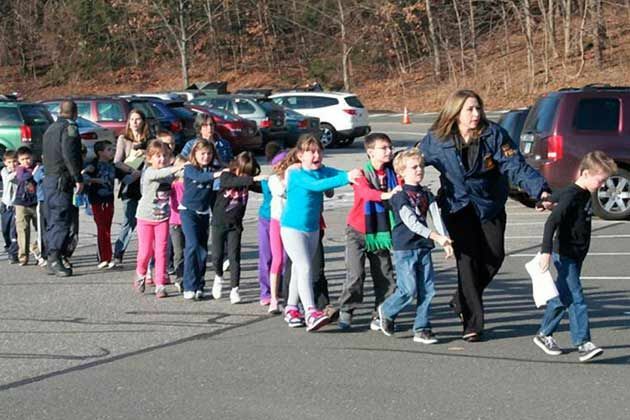 When I first heard the news of the school shootings in Newtown, Connecticut, I had the same feelings in my gut as everyone else. First, an overwhelming sense of pity for the twenty precious children who died. They were perfectly innocent yet in an instant their lives were snatched away by a monster. Second, grief for the parents of the murdered children. No family should have to endure what those families are going through. Third, a feeling of fear for our nation. As the list of school shootings grows—Stockton, California; Jonesboro, Arkansas; Littleton, Colorado; Blacksburg, Virginia; Nickel Mines, Pennsylvania, to name a few—it’s clear that something’s terribly wrong. Every region of the country, every socio-economic group, every race is involved. It’s as if some deadly infection has made its way into our collective bloodstream. Even the name tells us something. “School Shooting” is a recent addition to the national lexicon and was coined to describe a condition no one would have imagined twenty years ago. Now, the phrase is shorthand for events that we’ve come to expect. The news media leads each successive horror story with the telling adjective, “Another school shooting…” Since 1990, the butcher’s bill is 230 murdered in 107 shootings. Nobody knows why the shootings occur or why they’re growing in frequency. Psychologists say the shooters have psychological problems. Sociologists point to the growing pressures of modern life. Police say they have too ready access to weapons. Others point to dysfunctional families, the internet’s influence, bullying or any number of other things. Any or all of these motives may play circumstantial roles. But the more you listen to the experts, the more you realize they’re grasping for straws. When Adam Lanza made the tortured choice to murder his mother then made his way to Sandy Hook Elementary School to take the lives of twenty irreplaceable children as well as the six heroic adults who sought vainly to protect them, he was acting out of some dark instinct far removed from what drives most of us. The scary thing is how that darkness seems to be growing. Adam Lanza isn’t the first. No one who’s paying attention should expect him to be the last. In his ground-breaking book, “People of the Lie,” psychiatrist Scott Peck tries to get at the source of evil in human actions. You’d think as a classically trained mental health professional, Peck would spout the same gobbly goop we hear so much of. Things like early childhood trauma, addictive behavior, mental illness or family dysfunction. Not that those things don’t have a real impact in people’s lives. Of course they do. Scott’s point is how those factors alone can’t explain the presence of pure evil. They can’t account for what happened at Sandy Hook Elementary School. According to Peck, evil is most clearly seen in the act of scapegoating. That is, when a person or group is targeted as victim for no other reason than their very innocence satisfies another’s need or lack. And to understand that, Peck says, you have to go back to a basic biblical truth that the modern world has forgotten. The father of evil is the devil. And the devil is actively at work in the world. No other conviction can provide a conceptual framework adequate to comprehend real evil. I have no personal knowledge of Adam Lanza, but I doubt he was possessed in the popularly accepted sense of the word. If news reports are to be trusted, Lanza had a host of mental and personal struggles, any one of which might have been enough to send him over the edge. Still, the sheer horror of what he did outweighs whatever we might have expected him to do. Murdering twenty children is an act so far removed from rational comprehension that our normal frames of reference fail. How else can it be grasped except through the action—direct or indirect—of the devil? My conviction on the point isn’t religious fanaticism or personal escapism. It’s simply the acknowledgement that all other explanations fall short. Jesus accepted straightforwardly how the devil deals death to the world. Such is his nature, Jesus said. I see no reason to doubt that. Here’s the final truth I cling to in all this. Where such evil is so clearly in play, and all human efforts so limited in containing it, where else can I turn except to Jesus? This isn’t to somehow underplay the shock and grief of the parents who lost their children. Neither am I trying to somehow use those parents’ tragedy as a platform for evangelism. That would be profoundly wrong. But as a man trying to make my way through these evil days, where else can I turn? Where can any of us turn? If, as we believe, Jesus alone conquered the grave; if he alone triumphed over the devil; if he alone rose from the dead; if he alone brings us genuine life—then we have no other place to go but to him. At the end of the day, I can respond to evil—even on the scale of what happened in Newtown, Connecticut—only through Jesus. Nothing else makes sense. I'm a follower of Jesus, a husband, a dad and a pastor living in South Carolina. I love helping people to connect faith with every part of life. Dancing bears or the River of Life?